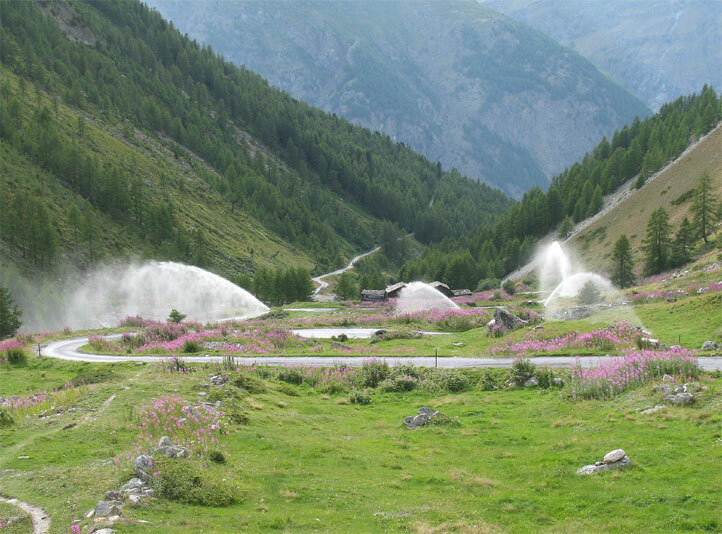 The Alps in Central Europe are, despite the ever-escalating tourism and its destructions (construction of lifts, hotels, cottages, access roads, avalanche controls, piste macrolevellings, artificial snow machines) and in spite of increasingly intensive agricultural practices (fertilization in high altitude areas to intensive grazing, irrigation of dry meadows e.g. 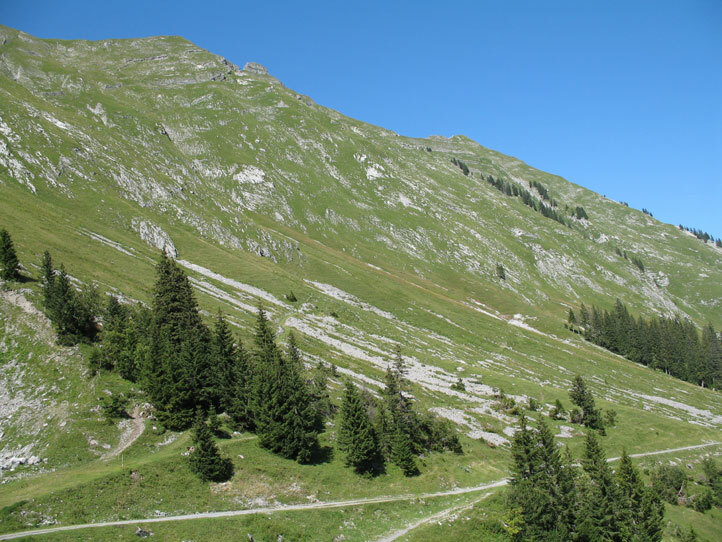 in the Swiss Valais, dense forestry with separation of grazing areas from woods), still the last refuges for larger-scale habitats such as grasslands, rocky slopes, extensive pastures, stream corridors, etc. and their inhabitants. In the high mountains a distinct vertical zoning is observed. 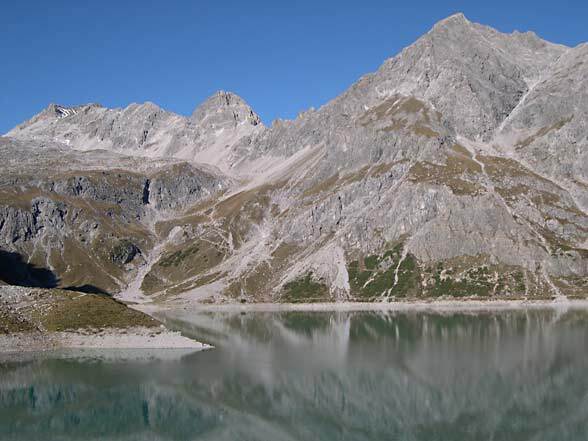 The mountain forest zone (montane and subalpine zone) extends to the tree line, in the northern Alps up to about 1800m above sea level, in the southern central Alps in contrast to about 2200-2300m above sea level: Massenerhebungseffekt ("mass elevation effect" is the fact that the same vegetation belt is found at higher elevations in higher, mostly more central mountains than in lower, pre-ranges) and climate. Due to deforestation and grazing the actual tree line today usually runs below the climate-related forest boundary. Above, there often follows a zone of low and twisted woods with Pinus mugo, green alder (Alnus viridis), willows and stunted, isolated trees (larch, spruce, etc.) and some species of the dwarf shrub belt (mostly ericaceous plants such as rhododendron). Interlinked with that zone and substituting it in higher elevations is the alpine so-called "Mattenregion" (alpine grass vegetation zone). 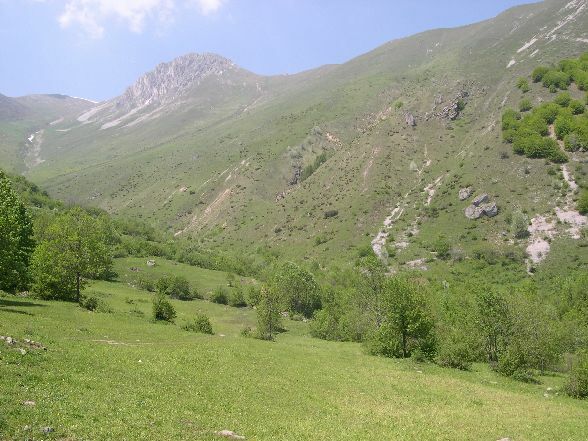 Today, this zone can be partly found downwards to the mountain forest zone due to grazing and deforestation or naturally in avalanche corridors. 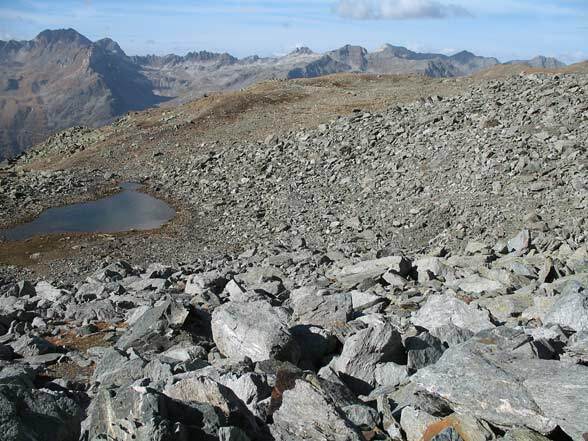 The nival zone finally, which is located above 2600m (Northern Alps) to 3100m (in some places in the southern central Alps) above sea level, mainly consists of rocks and rubble and only spotlike vegetation with grasses and cushion plants. The limit of the butterfly life (indigenous populations) coincides approximately with the snow line (lower limit of nivale / snow zone). Above you can only find a few Psychidae and very occasionally other moths. The mountain forests are characterized by a grassy understory and are therefore generally relatively light, sunny and rich in larger or smaller clearings. This structure they owe several factors. 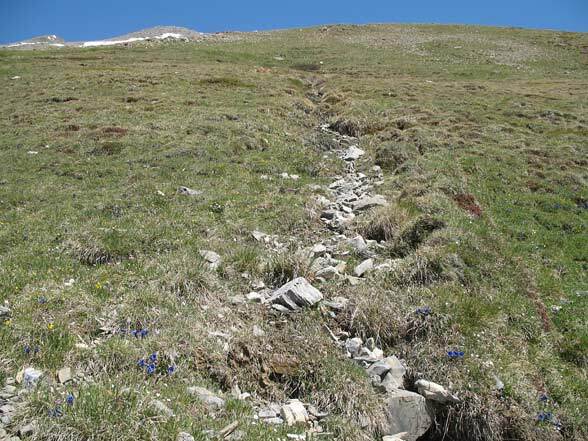 Some are natural as landslides, avalanches and reduced vigor due to the cooler climate and often shallow soils. On the other hand grazing animals (wild and agricultural) play a big role. The Alps in Central Europe are one of the last regions where fortunately still no strict forest / pasture-separation is performed (see forests). 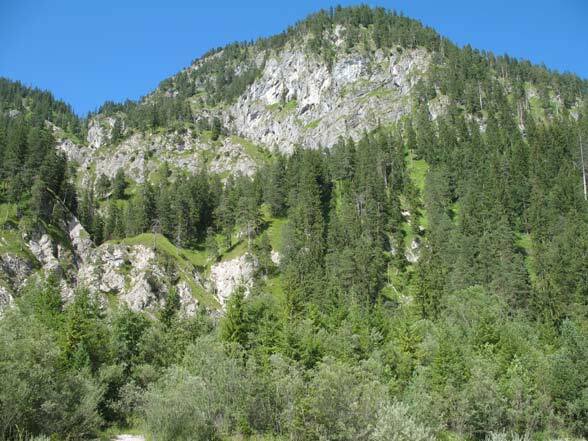 In these mountainous forests occur many butterflies, especially Erebia species (Erebia ligea, aethiops, euryale and on clearings above about 900 m above sea level also species such as Erebia oeme, E. pronoe or E. melampus), other Satyrinae (Lasiommata maera and L. petropolitana), Aporia crataegi (larvae on Sorbus) and Fritillaries (Argynnis aglaja, A. adippe, A. niobe and Boloria euphrosyne, B. titania, B. thore). Dwarf shrub belt and Pinus mugo stands: "Krummholzzone"
This zone is characterized by low shrubs from a few centimeters to 2 meters. 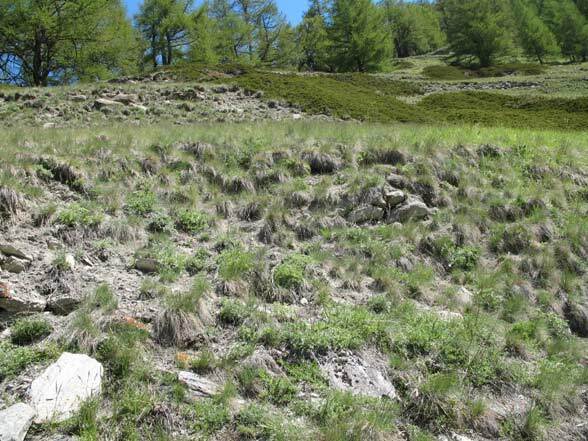 In moist places often green alders are found, on dry and calcareous however, Pinus mugo. Otherwise, Rhododendron stands are typically (R. ferrugineum on acidic and R. hirsutum on alkaline soils). Other groups are willows, blueberries to ground-covering dwarf shrubs such as Loiseleuria procumbens. In between is often place left for perennials like Adenostyles sp. and other perennials. 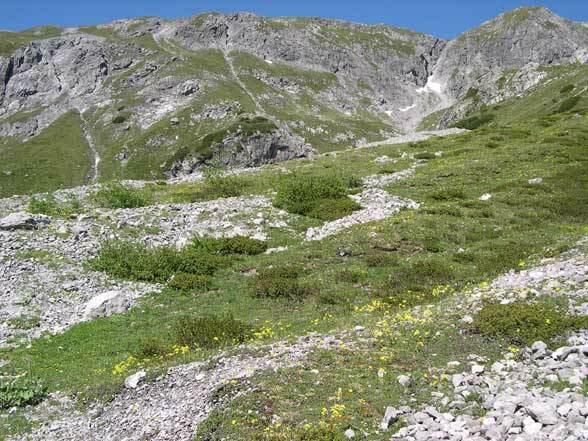 Typical species in this region are Euphydryas intermedia (at Lonicera caerulea, very local), Erebia pharte, E. euryale, E. eriphyle and at acidic, rather shallow parts of the central Alps Plebeius optilete and Colias palaeno. Often very frequent in the dwarf shrub belt is Lasiocampa quercus. Among these there are the partly naturally, partly through grazing emerged often nutrient-poor grasslands which are often very flowery. The species composition is often different depending on the substrate (limestone or bedrock). So some plants as the horseshoe vetch (Hippocrepis comosa) and his companions (Zygaena transalpina, Polyommatus coridon, Colias alfacariensis etc.) only occur on alkaline soils. Some butterfly species can also use closely related species of both ground types. Thus, the blue Polyommatus glandon occupied Androsace chamaejasme on calcareous ground and in the acidic range A. obtusifolia. Altogether calcareous grasslands are often more species-rich. But some species like Erebia epiphron (often Nardus-Arnica meadows) prefer acidic ground. 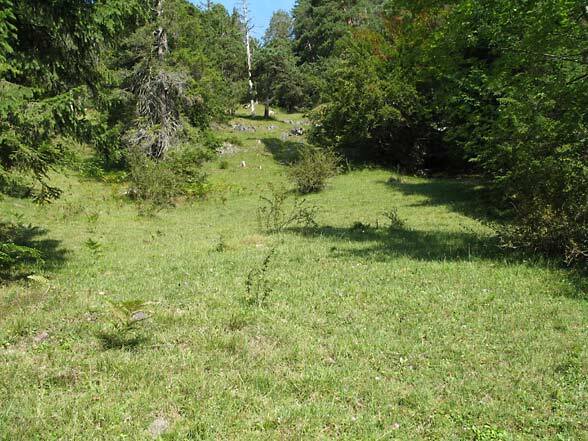 The grasslands are home of the the most alpine butterfly fauna (including Lycaenidae, Pyrgus species, Melitaea sp., Boloria sp., Erebia sp., Coenonympha sp. ), but also many Geometridae, Noctuidae, Arctiidae as Grammia quenselii and Parasemia plantaginis. These habitat types are naturally represented quite extensively in high mountains and have many adapted species. In rocky places of the montane and subalpine zone live the Apollo butterfly and the species Erebia styx, E. montana, Gnophos sp. (Geometridae) and many Noctuidae. On the other hand, screes show a slightly different species composition. Here butterflies are often strikingly rare, but represented with the specialists Erebia gorge, E. scipio and E. pluto. 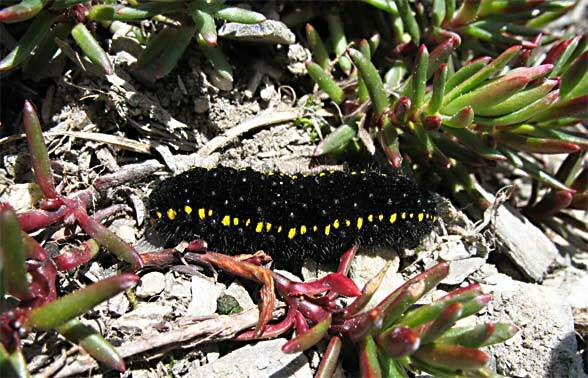 Where there are substrate-rich sites in the debris corridors, the caterpillars of Pontia callidice can be found quite regularly. Among the moths the Noctuidae (e.g. Standfussiana), Geometridae and tiger moths (Arctia flavia, Holoarctia cervini, but also up to over 2700 m above sea level Phragmatobia fuliginosa) should be mentioned. These species use the heat storage of flat stone slabs that are able to give back the stored solar energy until far into the night. So the caterpillars hide preferably prior to moulting under the stones and often also pupate there. 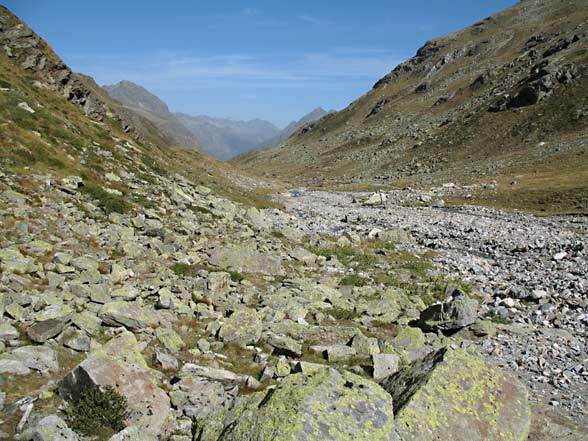 Here I summarize the so-called "Lägerfluren" (Rumicetum alpinae), stream banks, alpine bogs and temporarily flooded grasslands. 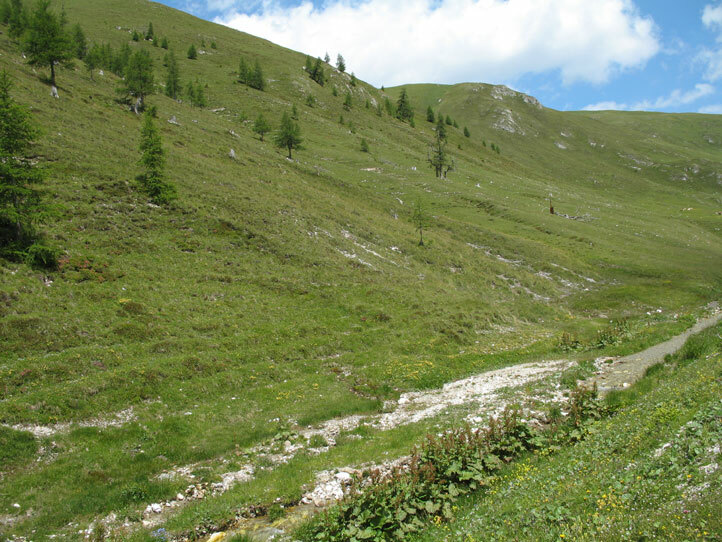 "Lägerfluren" (Rumicetum alpinae) are alpine tall perennial stocks, particularly in nutrient-rich and usually wet places, some of which are caused of the cattle gathering together by night (nutrient enrichment from feces). Typical species are nettles (Urtica dioica), monkshood (Aconitum), Rumex alpina and Senecio alpina. For butterflies, they are mainly of interest as nectar habitat and mating ground (e.g. Pyrgus species). Some species are also developing in the Rumicetum alpinae, e.g. Aglais urticae, the Small Tortoiseshell. 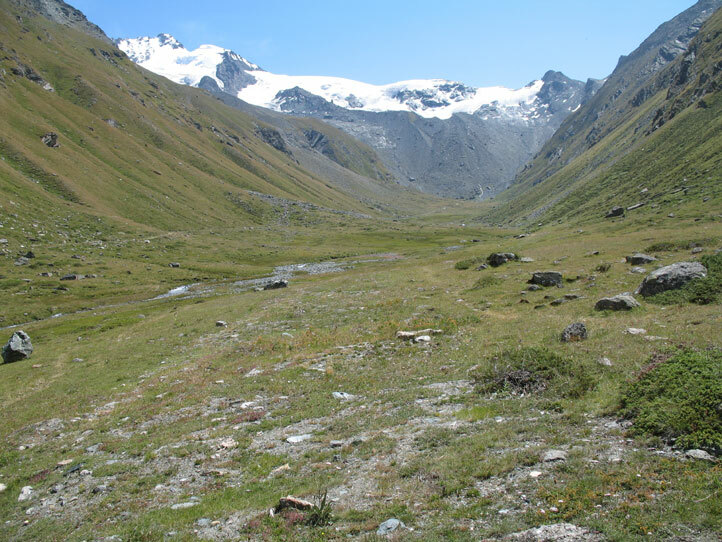 Borders of streams and temporarily water carrying meltwater runoffs are of interest as a mating place and on the other hand as reproduction habitat for the high alpine Apollo (Parnassius phoebus). High alpine bogs and flooded meadows often only act as mating places for butterflies (for example Pyrgus species). A larval development takes mostly place on more dry, adjacent areas even in species such as Boloria napaea and Pyrgus cacaliae. This importance as mating points is due to the different vegetation where the individuals that have developed on the vast uniform slopes can meet females with higher probability. In lowlands this can be the case with single higher trees in forests (Limenitis populi).